Asthma is an incurable chronic disease in which the lining of the bronchial tubes inflames and swells, causing difficulty breathing. It is an extremely common disease—especially among children. Approximately 25 million people in the United States suffer from asthma, and 235 million all over the world. Here are a few things you should know about asthma—and how to treat it. What causes asthma? The causes of asthma are not well understood. It is not contagious, but asthma—or sensitivity to things that cause asthma—may be genetically influenced. Most asthma sufferers get their first attacks at a young age; in some, the disease does not continue past age six or so. Those who often have respiratory infections are at risk of having asthma into adulthood. 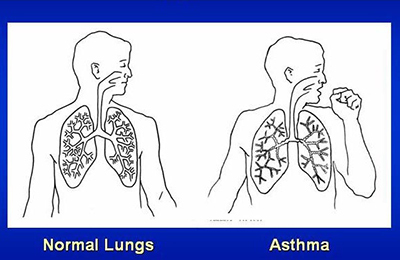 Asthma attacks can be caused or exacerbated by a wide variety of things. One of the more common causes are allergens and pollutants in the environment. Things like dust mites, pollens, molds, tobacco smoke, air pollution, and chemical irritants can set off an asthma attack. So can cold air or even emotional stress. Some medications, such as aspirin, non-steroidal anti-inflammatories, and beta-blockers can also increase the risk of an asthma attack. How serious is asthma? Approximately 50% of the people who have asthma get at least one serious attack each year. About 1.7 million people go to the emergency room each year for asthma attacks, and more than 450,000 are hospitalized each year. That said, only about 3,000 people per year die from asthma attacks in the United States. The fatality rate is low, and most deaths caused by the disease are preventable. Those who are at most risk of dying of asthma live in developing countries or economically disadvantaged communities with poor access to asthma medications. What are the symptoms of an asthma attack? Asthma attacks can be caused by two things: inflammation of the airways, which includes swelling of the bronchial tube lining and buildup of excess mucus; and constriction of the muscles that surround the airways. Shortness of breath, wheezing, and coughing can occur. In severe cases, fingernails and lips can turn blue and the victim may have difficulty walking or talking. How do I control my symptoms? Medication can do a lot to help asthma sufferers improve their quality of life. These can come in the form of short-term and long-term inhaled steroids. Beyond that, it’s best to try and avoid triggers of asthma—these can include pollutants in the environment, medications that cause asthma attacks, and even emotional triggers. Everyone’s triggers are different, however, and you’ll need to talk to your doctor to develop a plan that’s tailored to your needs. What can I do to help someone near me who is suffering from an asthma attack? An asthma attack can be terrifying, especially if the victim doesn’t have their medication and can’t treat themselves. If someone is near you and is having an asthma attack, here are the steps you can follow to help them. 1. Refer to their asthma plan, if they have one. Not everyone with asthma has an individual action plan from a doctor, but many do. If the person does have a plan, follow that first. It should include directions for the asthma medication to administer, seeking medical help, and triggers to avoid or remove from the environment. Help the person sit in an upright position. If the person is wearing tight clothing, especially around the neck, loosen it. Help the person use their own inhaler or administer medication, if they have it. If they don’t, administer an inhaler from a first aid kit. 3. 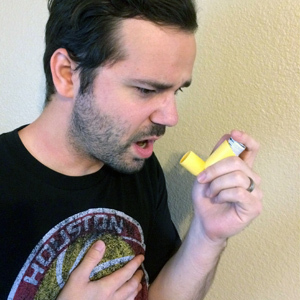 How to help an asthma victim use an inhaler. Take off the cap and shake the inhaler. 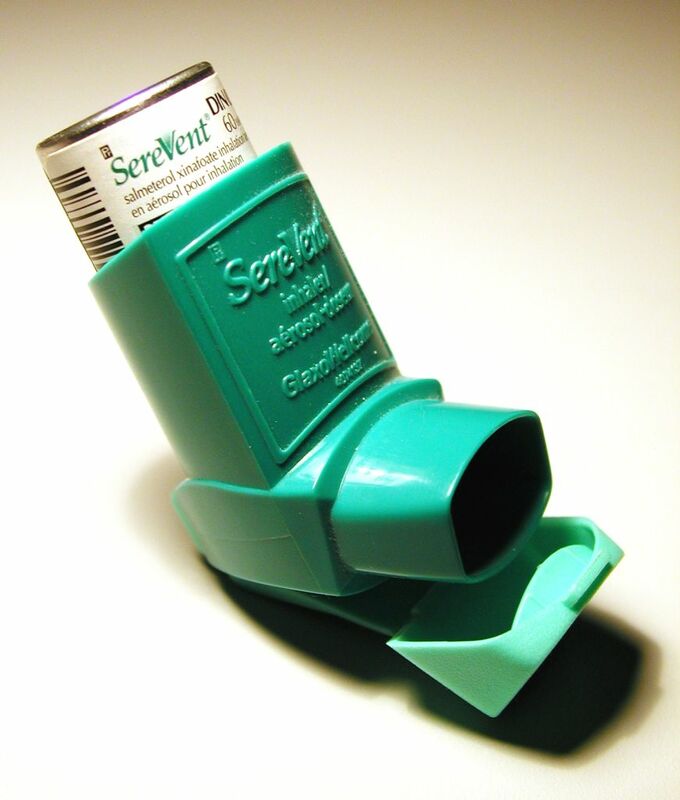 Most inhalers come with a spacer, or holding chamber for the medicine. Attach the spacer to the inhaler according to the directions. Have the victim breathe out, and then close their lips tightly around the spacer. Press the inhaler once to deliver a puff of medication it not he spacer. Have the victim inhale slowly through their mouth, then hold their breath for ten seconds. Deliver three more puffs, with about a minute of time between each one. Not every inhaler has a spacer. The ones that don’t are called metered-dose inhalers (MDIs). If you only have access to one of these, have the victim hold the inhaler an inch or two from their mouth and breathe in slowly while you press down on the inhaler once. The victim should hold their breath and count to ten. This allows the medicine to penetrate more deeply into the lungs. 4. Help stabilize the victim. If the victim is having trouble breathing after four puffs, administer another set of four and repeat every four minutes or so until the ambulance gets there. For very severe attacks, the person should receive as many as six or eight puffs in a five-minute period. Keep an eye on the person while help arrives. Drowsiness can occur even if the asthma is getting worse, so don’t assume the person is feeling better if they are getting tired. In addition, if you don’t hear wheezing any longer, it could still mean the asthma is getting worse. Once the patient gets to the hospital, the doctor should provide medication and treatment in keeping with the severity of the attack. If the person does not have an asthma treatment plan, this could be a good time to ask about one—or arrange an appointment with a specialist to develop one. The victim may be discharged or hospitalized, depending on the seriousness of the attack. Asthma is rarely fatal, but it can be chronic and very serious, interfering with life, sleep, work, and general good health. Asthma sufferers should visit their doctor to help them identify their individual triggers—these are different for everyone—and develop an individual plan for managing their asthma and treating attacks. Asthma sufferers who know their triggers, have access to the right medicine, and have developed a treatment plan can manage their asthma well—and often can have a normal quality of life most of the time.